Chiang Mai, Northern Thailand. 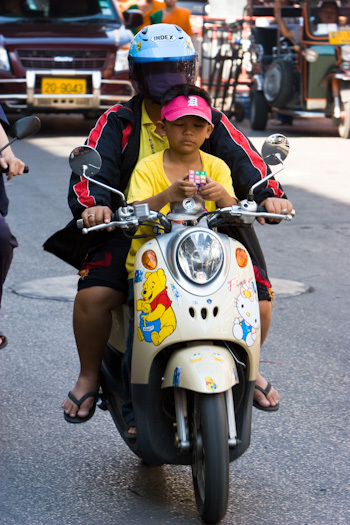 Winnie the Pooh, Hello Kitty, Rubik's Cube, and family on scooter. Photo by Robert McKenna.